Hi everyone! This is my first wallpaper ever. Made from scratch. :) It was originally just for my laptop background but since I don't use it anymore, I'm uploading it here for everyone! Very nice and simple but some of the sentences is missing .... I think it would be better to have the full sentences. the surface below the L is it water or mist or some other thing? 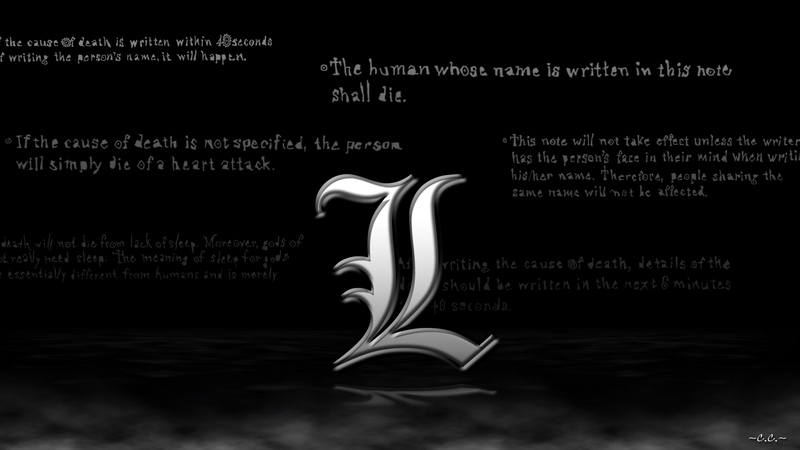 Death Note is somehow always Cool. wow! It's a good thing I found this. so cool! I really like how you added the rules of the Death Note in the background.